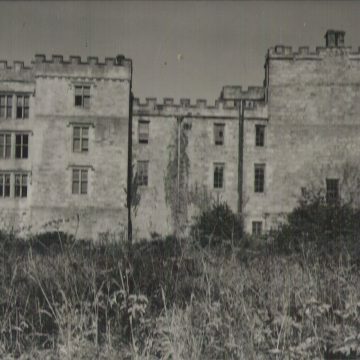 The 12th century stronghold became the fully fortified Chillingham Castle in 1344 and the family bloodline has remained ever since. We have the document giving the Royal permissions to add battlements. 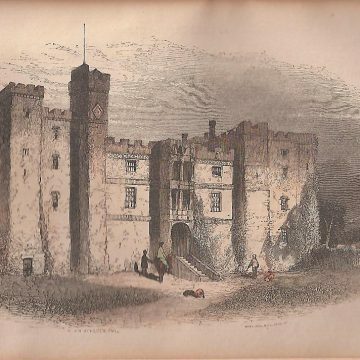 The castle was much besieged and battled, and the family all went off to those early wars in France. They captured a Norman castle in 1409 and were made Earls of Tankerville, and were even made Dukes in their early warrior days. There are many mentions in Shakespeare and in Royal archives. The many commanding generals of the castle include a record eighteen Knights of the Garter. Royal appointments were balanced out by no less than eight Executions for high treason! Family members chose different sides to support, and so Chillingham Estates survived and the loser always had ‘a friend at court’. The mediaeval castle remains as it was, just with galleries that you see today added in Tudor days, for the visit of King James VI of Scotland. The King was en route to his English coronation as James I of England. The castle commander of that day was Queen Elizabeth’s godchild. He was the ‘go-between’ for the English/Scottish courts during those difficult times of the royal succession and kept fascinating diaries of those days. In the 18th century, Capability Brown’s ideas re-landscaped the grounds, and Robert Adam’s pupil, Paterson, worked on the East wing. In 1832, King Louis Philippe of France came to stay and gave us fine urns from his Versailles Palace. Extravagant gardens and avenues were laid out for the royal visit by Sir Jeffry Wyatville, fresh from his triumphs at Windsor Castle. Throughout the centuries the castle’s architectural detail and massive walls have remained unchanged. The medieval strength and character remains.